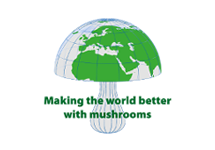 Bottom Line: Maitake demonstrated anticancer effects in laboratory studies. Research is underway to test its anticancer effects in humans. Maitake is a mushroom that traditionally has been used in Japan and China as part of the diet and to treat diabetes and hypertension. Like other medicinal mushrooms, maitake contains a complex sugar called a beta-glucan. In laboratory studies, maitake extract was able to stimulate various cells and factors in the immune system. Studies in animals show that it slows the growth of certain tumors and lowers blood glucose (sugar) levels. More studies are being conducted to determine if maitake has the same effects in humans. Laboratory studies and small uncontrolled studies in humans show that maitake extracts slow the growth of tumors and stimulate certain immune cells. itake reduces blood glucose levels in rats. aitake stimulates the activity of certain immune cells in laboratory studies and in mice. You are taking hypoglycemic medications to lower your blood sugar, as maitake can increase their effects. You are taking warfarin, as maitake may interact with warfarin resulting in an elevated international normalized ratio (INR). Maitake mushroom is an edible mushroom consumed widely in Asia as food and used in traditional medicine to treat diabetes and hypertension. Maitake extracts are commercially available as dietary supplements marketed to “enhance immune function” and to treat HIV and cancer. Beta 1,6-glucan, a protein bound polysaccharide, has been identified as the active constituent. 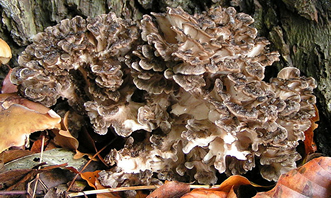 Maitake extracts exhibited hypoglycemic effects in a few studies (9) (12). Preliminary data suggest that maitake may be useful in inducing ovulation in patients with polycystic ovary syndrome (PCOS) (22). Maitake demonstrated antitumor effects (16), enhanced bone marrow colony formation, reduced doxorubicin toxicity (11), and inhibited tumor metastasis in vitro (13). In a study done in mice, oral maitake extract promoted maturation of hematopoietic cells to functionally active myeloid cells and enhanced peripheral blood leukocyte recovery following chemotoxic bone marrow injury (17). A novel polysaccharide, MZF, was shown to induce dendritic cell maturation and enhanced antitumor response (20). Maitake also enhanced interferon activity against bladder cancer cells (18) and alleviated inflammation associated with inflammatory bowel disease (19). In a small non-controlled study, tumor regression or significant improvements in symptoms were observed in half of the subjects using Maitake extract (5). In another study of postmenopausal breast cancer patients, oral administration of maitake extract was shown to have immunomodulatory effects (14). More studies are underway to establish Maitake’s anticancer potential. Maitake mushroom is an edible fungus. The whole mushroom can be fried or boiled. Polysaccharides: 1,3 and 1,6 beta-glucans appear to be the most active ingredients. Alpha glucan is also present. Maitake is thought to exert its effects through its ability to activate various effector cells, such as macrophages, natural killer cells, and T cells, as well as interleukin-1 and superoxide anions (2) (3) (4) (13). Studies also suggest possible hypoglycemic activity (9). The anti-diabetic effect of alpha-glucan may be due to its effects on insulin receptors by increasing insulin sensitivity and ameliorating insulin resistance of peripheral target tissues (12). Maitake extract enhanced the growth and differentiation of mouse bone marrow cells treated with doxorubicin, a chemotherapeutic agent (11). In addition, maitake extract may modulate antigen presentation as evidenced by protection of mice against tumor implantation following transfer of dendritic cells from tumor-bearing mice that were treated with maitake extract (15). Maitake D fraction demonstrated antitumor activity by upregulating expression of a proapoptotic gene, BAK-1 (23). In another study the beta glucan GFPBW1 also showed antitumor effects thought partially due to activation of macrophages via the Dectin-1/Syk/NF-κB signaling pathway (24). Maitake may not be appropriate for those taking hypoglycemic medications as it can have synergistic effects (9). Warfarin: Maitake may interact with warfarin resulting in an elevated international normalized ratio (INR). May lower blood glucose level. Hobbs C. Medicinal Mushrooms, 3rd ed. Loveland (CO): Interweave Press; 1996. Kubo K, Aoki H. Nanba H. Anti-diabetic activity present in the fruit body of Grifola frondosa (Maitake). Biol Pharm Bull 1994;17:1106-10. Horio H, Ohtsuru M. Maitake (Grifola frondosa) improve glucose tolerance of experimental diabetic rats. J Nutr Sci Vitaminol 2001;47:57-63. Kodama N, Komuta K, Nanba H. Can Maitake MD-fraction aid cancer patients? Altern Med Rev 2002;7:236-9. Miura NN. Blood clearance of (1—>3)-beta-D-glucan in MRL lpr/lpr mice. FEMS Immunol Med Microbiol 1996;13:51-7. Ohno N, et al. Characterization of the antitumor glucan obtained from liquid-cultured Grifola frondosa. Chem Pharm Bull 1986;34:1709-1715. Nanba H, Kubo K. Maitake D-fraction: Healing and preventive potential for cancer. J Orthomolecular Med 1997;12:43-9. Yamada Y, et al. Antitumor effect of orally administered extracts from fruit body of grifola frondosa (maitake). Chemotherapy 1990;38:790-6. Lin H, et al. Maitake beta-glucan MD-fraction enhances bone marrow colony formation and reduces doxorubicin toxicity in vitro. Int Immunopharmacol 2004 Jan;4(1):91-9. Hong L, Xun M, Wutong W. Anti-diabetic effect of an alpha-glucan from fruit body of maitake (Grifola frondosa) on KK-Ay mice. Pharm Pharmacol. 2007 Apr;59(4):575-82. Masuda Y, Murata Y, Hayashi M, Nanba H. Inhibitory effect of MD-Fraction on tumor metastasis: involvement of NK cell activation and suppression of intercellular adhesion molecule (ICAM)-1 expression in lung vascular endothelial cells. Biol Pharm Bull 2008 Jun;31(6):1104-8. Harada N, Kodama N, Nanba H. Relationship between dendritic cells and the D-fraction-induced Th-1 dominant response in BALB/c tumor-bearing mice. Cancer Lett. 2003;192(2):181-7. Shomori K, Yamamoto M, Arifuku I, Teramachi K, Ito H. Antitumor effects of a water-soluble extract from Maitake (Grifola frondosa) on human gastric cancer cell lines. Oncol Rep. 2009 Sep;22(3):615-20. Lin H, de Stanchina E, Zhou XK, et al. Maitake beta-glucan promotes recovery of leukocytes and myeloid cell function in peripheral blood from paclitaxel hematotoxicity. Cancer Immunol Immunother. 2010 Jun;59(6):885-97. Louie B, Rajamahanty S, Won J, Choudhury M, Konno S. Synergistic potentiation of interferon activity with maitake mushroom d-fraction on bladder cancer cells. BJU Int. 2010 Apr;105(7):1011-5. Lee JS, Park SY, Thapa D, et al. Grifola frondosa water extract alleviates intestinal inflammation by suppressing TNF-alpha production and its signaling. Exp Mol Med. 2010 Feb 28;42(2):143-54. Hanselin MR, Vande Griend JP, Linnebur SA. INR elevation with maitake extract in combination with warfarin. Ann Pharmacother. 2010 Jan;44(1):223-4. Chen JT, Tominaga K, Sato Y, Anzai H, Matsuoka R. Maitake mushroom (Grifola frondosa) extract induces ovulation in patients with polycystic ovary syndrome: a possible monotherapy and a combination therapy after failure with first-line clomiphene citrate. J Altern Complement Med. 2010 Dec;16(12):1295-9. Fang J, Wang Y, Lv X, et al. Structure of a β-glucan from Grifola frondosa and its antitumor effect by activating Dectin-1/Syk/NF-κB signaling. Glycoconj J. 2012 Aug;29(5-6):365-77.